The 10th Hole Bar & Grill is a great place to grab a bite to eat. From snacks, to hot dogs, burgers, sandwiches and salads, we have what you need to satisfy your appetite. To satisfy your thirst Rob Roy proudly serves a variety of soft drinks, brews, wines and liquors! 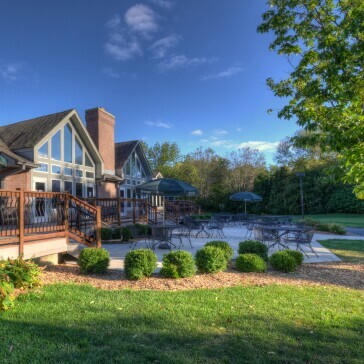 Our views of the golf course can't be beat and you don't have to be a golfer to enjoy a delicious meal or take advantage of our catering or specials!